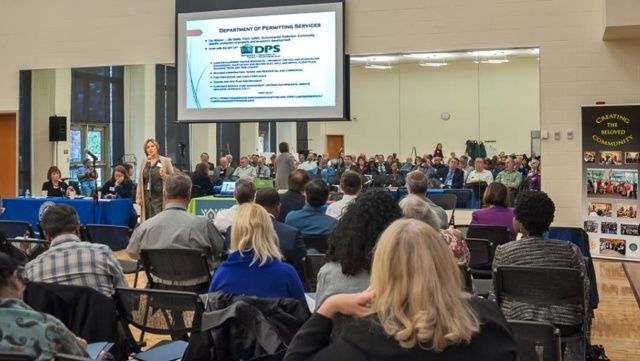 Empowering Places of Worship drew in excess of 100 into dialogue with nine departments and agencies related to how to successfully build, expand and otherwise locate in Montgomery County. Issues ranged from environmental protection to taxes, from road access to health and safety concerns, and from zoning to alternative use of space. The lessons learned, resources provided and connections made will save faith communities precious time and treasure. 25 pages of frequently asked questions and answers related to eight priorities together with links to all departments will be on our website soon. Power Point Presentations will be coming soon. Special credit is due the Religious Land Use Working Group Co-Chaired by Joseph Chang and Rev. Ken Howard.